This section describes how to quickly install Crafter CMS and start crafting your experiences. Windows support is now via Docker. If you are on a Windows operating system, please follow the guide here to start using Crafter CMS. Download and install Java JDK 1.8 (either Oracle or OpenJDK). For Linux users, some of the scripts uses lsof. Please note that some Linux distributions does not come with lsof pre-installed and so, may need to be installed. Select crafter-cms-authoring.tar.gz. The .tar.gz file will install a fully functional Crafter Studio instance and a Crafter Engine in Preview Mode. Out of the box, the Studio instance uses a local directory as the repository and a Derby database, which allows a quick and easy set up for local development. Extract the contents in any directory. It takes a few seconds for Crafter CMS to startup and takes longer to startup the very first time you startup Crafter CMS. After logging in, you should be redirected to the Sites screen, and you’re now ready to create your first website! 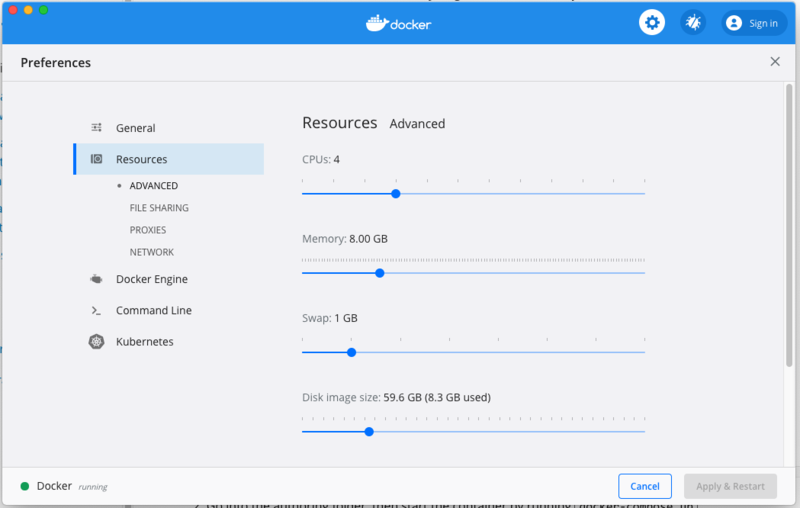 For Windows and Mac, we recommend you give Docker Desktop at least 8GB of RAM and 4 CPUs. To do this, go to Docker Desktop’s Settings > Advanced, and then change the resource limits. You may now follow the instructions listed above: Open Crafter Studio to start using Crafter CMS. For more information on Crafter CMS Docker Compose, please see: https://github.com/craftercms/docker-compose.